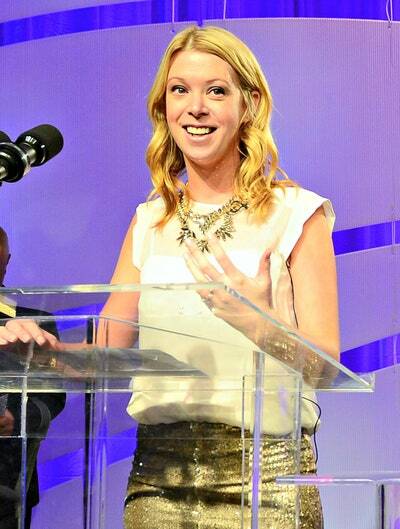 Three years ago, Adrianne Haslet-Davis‘ life changed in ways she never could have imagined. She was a spectator at the Boston Marathon when the devastating bombing took place, causing the professional ballroom dancer to lose her leg from the knee down. After a grueling recovery, Haslet-Davis, 35, has chosen to take most painful incident of her life and use it as an inspiring lesson for others. Haslet-Davis speaks all over the country and advocates for those that have faced adversity in their own lives. Now, Haslet-Davis is taking her message a step further and will compete in Monday’s 120th Boston Marathon. Running on behalf of team #AdrianneStrong, Haslet-Davis will raise funds for the Limbs for Life foundation, and in honor of those who were injured or died in the 2013 bombing. During a recent trip to Los Angeles (that also coincided with a visit to Dancing with Stars! ), Haslet-Davis spoke toGlamour about embarking on those epic 26.2 miles, the lessons she has learned along the way, and what she wishes strangers would know. Prepare to be amazed. Glamour: Congratulations are in order for all the training you’ve been doing and what you’re about to embark on come Monday. What’s it like running on a prosthetic? Adrianne Haslet-Davis: I got my blade to do the jive, not to run. Yet I found that it was difficult to dance in, getting caught up in my parter’s feet. It sat in my closet before I pulled it out one day and decided to give this running thing a try. I realized it was very difficult to use and I love a good challenge. I kept running to overcome that challenge, not thinking it would turn into what it did— a love affair of running and the decision to do 26.2. Glamour: Do you have any concerns during the race? Adrianne: Skin injuries to my limb, and my hip flexor. I have a team of people who are on hand to help with any injuries and of course, the countless volunteers at medical tents along the course. Glamour: Any thoughts as to how you’ll celebrate when you cross the finish line? And who will be there rooting you on? Adrianne: Hopefully a lot of celebratory [tears] as well as sad tears, a cold Sam Adams, and a giant pizza! Or two! I have a lot of family and friends who will be at or near the finish, but mostly along the course, which is where I will need it most. Glamour: It’s been three years since the attack. Is there a statement or question that you wish strangers would stop asking? Glamour: When someone goes through a painful time in their life, people often say, “Everything happens for a reason.” Do you believe in that? Adrianne: I do not believe this at all. Add this to the list. People will say look at my life now, as if I wasn’t leading a good life before. My life was awesome before, and it is awesome now. It was a horrific attack, and it could have happened to anyone. People only say it to make sense of it in their own minds. It is a form of self-protection, of trying to reason for themselves why horrible things happen. Why people say it has nothing to do with me. It took a lot of therapy to understand why people say certain things to me that I would never say to them. Glamour: How do you cope though with having a life that hasn’t gone as you planned? What advice would you give to those who are facing a reality different from the one they thought? Adrianne: I cope by therapy, physical activity, and spending a lot of time thinking of where I am and where I want to go. Yet so much of how I cope goes back to how I was raised. My parents gave my brothers and me experiences that revolved around problem solving. This evolved into a growth mindset. Looking at situations and life with an open mind that anything can change and you have to grow with it. So I try to take situations and not let them stand in the way, I let them be part of the growth. If I were to tell someone facing a new reality, or as I refer to it, a new normal, I would say that it doesn’t have to be the end all be all of your life. If I could never dance again, I could still teach. I learned how to ballroom dance from an 80-something-year-old woman who could barely get out of her chair. It is a constant reminder that we can do anything with our voices. Glamour: I love that so much. You speak about the events of that April day on a regular basis. Does talking about what happened help you find peace? Adrianne: Yes, it certainly does. I find it very therapeutic to talk about it. I also found that it has made my recovery healthier, both mentally and physically. As much as I say I don’t like the difficult questions, which I do not, they have helped me. Putting myself out there in speeches and the media opens me up to facing things I did not expect. Therefore I had to learn how to take self care during those times. Had I not done that, I would have buried emotions and not faced things I needed to. Glamour: At the same time, it is draining. Do you see yourself on speaking tours years down the line? Adrianne: Yes, and no. I want to continue to help people and am able to do this through dancing, teaching, and speaking. I would like to be known for how I live my life, therefore I don’t want to talk about a certain moment as if it defines me, I want to take from it and inspire others facing hard times of their own. Glamour: Now that we’re in a presidential election year, is there a candidate you feel is most prepared to fight terrorism? Adrianne: I am terrified of Trump. Yet who I am voting for is personal. I would love to have a conversation with any or all of them about terrorism and what it is like. They spend a lot of time thinking and talking about what the military goes through being injured by bombs, and how to help them. Which is very important. Yet there is a new population growing of people who have been in terrorist attacks. They need to hear from us. I’ll meet for coffee anytime. Glamour: They better take you up on that! Meanwhile, switching gears, you just attended a recent taping of Dancing With the Stars. Shortly after the attack three years ago, I remember Tom Bergeron telling your story on the show. Adrianne: I am very humbled to have the support of the show over the years. They are an incredible example of showing that anyone—no matter your age, body type, or profession—can dance. I fell in love with the show from day one and was happy to work with them in Boston before the attacks fundraising at a dance-athon. Afterwards, they sent countless videos to me and well wishes on the show. I felt the love as if they were all with me in the hospital. Tom is a wonderful man and I am humbled and honored to have gone to the show. They are truly as authentic and talented in person as they are on television! Glamour: What’s your dream scenario when it comes to the show? Obviously it would be fun to see you as a contestant, but you’re already a professional ballroom dancer. Adrianne: My dream scenario coincides with what I work to strive for: more amputees in the mainstream media. I would love to be the first professional dancer with a prosthetic on the show. I am physically capable and have taught dance for years to thousands of people. Glamour: What brings you and joy and happiness on a daily basis now? Adrianne: What brings me joy is helping others. Hearing that I touched someone’s life in a positive way. Things that make me smile are simple: a call from my family hearing all the fun things they are up to, my friends and I having a low key night in, and the earliest part of the day when it’s just me and my cats and my coffee! Glamour: Finally, come Monday’s marathon, what do you want people to say about while you’re running? Adrianne: Tell me the finish line is around the corner! I think that we all encourage each other in so many different ways. I personally love the funny marathon signs, like “Good stamina, call me” and “If you think this is hard, try growing out bangs!” or “This is a long way to go for a free beer and a banana” It gets my mind off of the distance. For those on TV, I hope you see me struggle, cry, and triumph, because that is life, and all of it’s beautiful, messy parts. I hope they see that it is not easy and that Boston’s finest are on hand to ensure that every one of us 30,000 runners are safe and very well taken care of! Also I hope that one person is inspired by seeing any one of us cross that finish line.